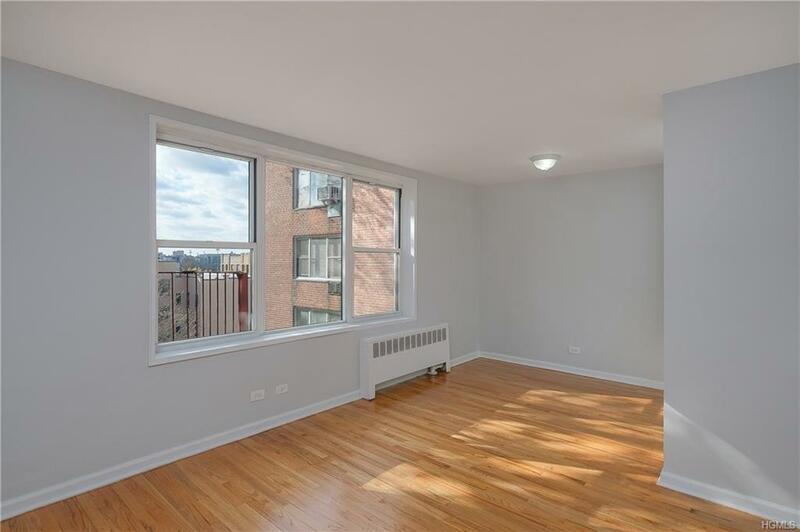 3201 GRAND CONCOURSE #5-B SPONSOR UNIT (No Board Approval) Renovated 881 s/f 1 BED/1 BA w/ Dining L. South-facing unit bathed in sunlight all day long overlooking the co-op's private landscaped courtyard. Well-managed mid-20th C. post-war elevator mixed-use co-operative apartment building attributed to Martin Lowenfish, Architect, ca. 1964. 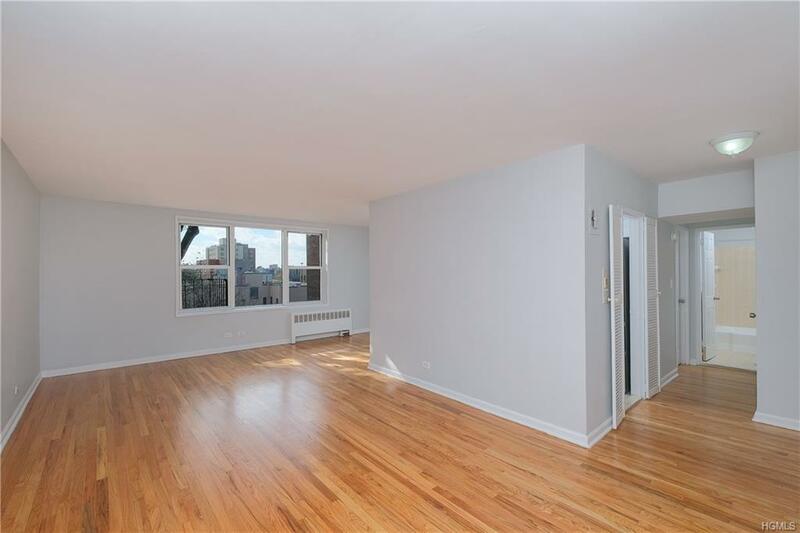 3.5 room unit features Entry Hall, Living Room, Dining L, galley Kitchen w/ shaker-style cabinets, porcelain tile floor, quartz counters, s/s appliances; 4 pc. Hall Bath, plank hardwood floors, thru-wall A/C sleeves. 80% Financing MAX. ($43,000 cash down). Low $673.13/Monthly Maint. (just 76 cents per s/f). 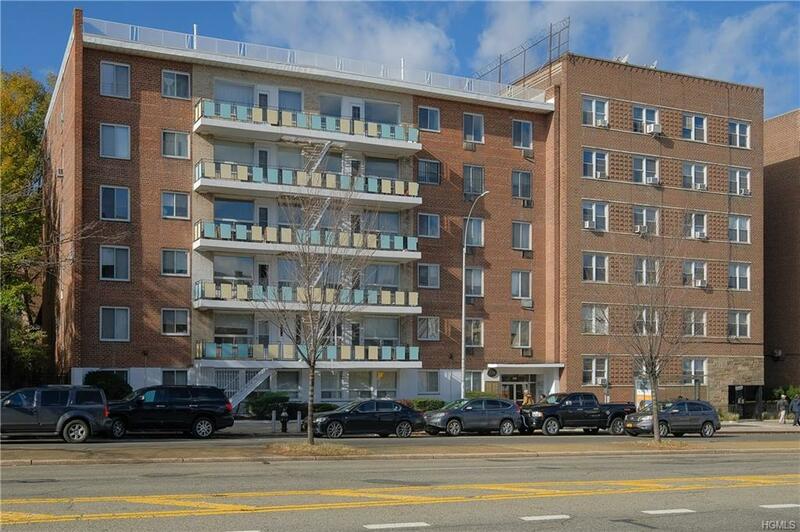 Live among the cognoscenti in Bedford Park - The Bronx's next hip, trendy nabe. Lehman College, Bronx HS of Science, Mosholu Park, Jerome Park Reservoir, NY Botanical Garden, MetroNorth's Harlem Line, IND B/D/IRT #4 lines, XP/local buses all just outside your door. Midtown NYC in under 30 minutes! 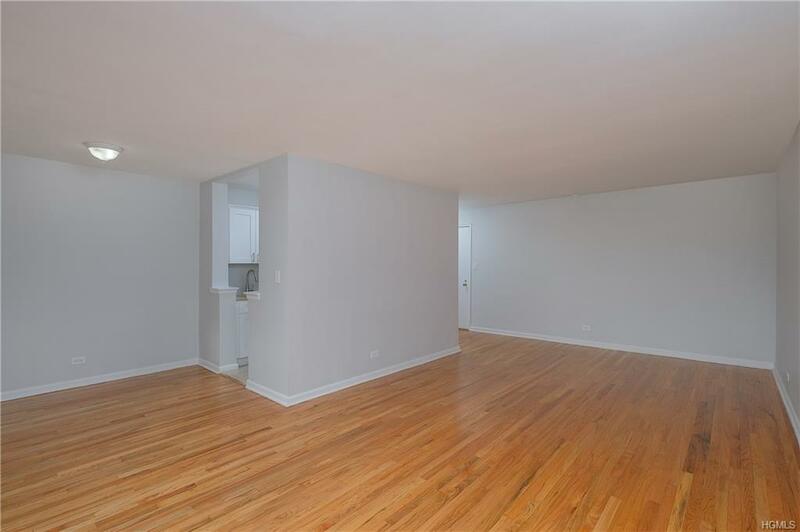 No pets, No subletting & No investors, please.